The Billy Bishop Airfield Rehabilitation Program, described as a significant three-year rehabilitation initiative, has been completed, including the reconstruction of runways and taxiways, the installation of LED lighting, and the construction of a Ground Run-up Enclosure (GRE) designed to dampen the noise associated with high-power aircraft engine ground run-up operations. The 3-year, $35-million program was paid for by PortsToronto – not taxpayers..
Because Billy Bishop Airport has only one main runway, PortsToronto explains construction activities associated with the project took place during nighttime hours, between 11:00 pm. and 6:45 am. when the airport was closed to commercial and general aviation air traffic. The Billy Bishop Airfield Rehabilitation Program focused on modernizing the airfield infrastructure, much of which was built in the 1960s. 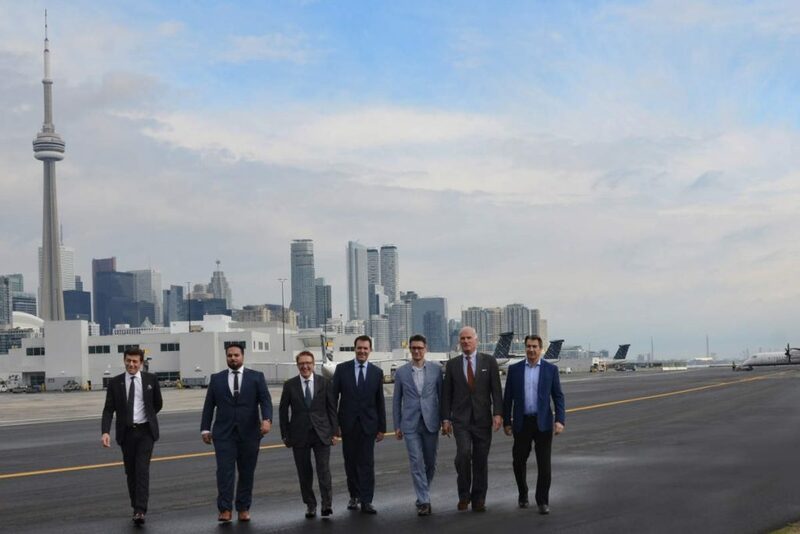 “Completing the Billy Bishop Airfield Rehabilitation Program – ahead of schedule, on budget and with virtually no disruptions to airport operations, travellers and the surrounding community – was no small feat,” said Gene Cabral, executive VP, PortsToronto and Billy Bishop. “In the three years the project was underway there was only one six-minute delay in re-opening the airfield and resuming regular operations which speaks to the professionalism and expertise of the team.” Cabral continued to explain Billy Bishop sees 2.8 million passengers travel through the airport each year. Some of the measures taken to avoid disrupting passengers included a barging operation that not only eliminated noise and traffic in the surrounding airport community but removed the equivalent of approximately 6,000 trucks off the neighbouring roads; casting construction lighting downwards and away from the city to avoid disturbing those in residential buildings; and implementing a policy to reduce the use of vehicle back-up alarms to further reduce noise disturbances. PortsToronto engaged aviation consulting firm WSP Canada Inc. to provide technical services including planning, design and construction phase inspection services for the project. The general contractor for the project was Pave-Al Ltd., a locally based, general construction contractor with airfield project experience, TriStar Inc, the team’s main electrical subcontractor, and Blast Deflectors Inc., which designed and constructed the GRE facility – just one of 30 such GRE facilities it has built worldwide.